With his lightning speed comedic timing, skills on the dance floor and a truly exceptional, emotional voice, Gavin Hope is a natural born performer and always a fan favourite! Gavin’s diverse career includes song, stage, TV and film, and feeds his wanderlust well. This Juno-nominated solo recording artist has been lucky enough to perform all around the world sharing the stage with such greats as Aretha Franklin, Natalie Cole, Jill Scott, James Brown, and Deborah Cox, to name a few. His theatre highlights include lead roles in the original Canadian companies of RENT and The Lion King (Mirvish), The Tempest (CanStage), As You Like It (CanStage), and Smokey Joe’s Café (Stage West). Gavin is also known for his work performing as a member of Canadian acappella vocal group The Nylons, with whom he has toured the world and recorded six studio albums (two of which were nominated for Juno Awards). 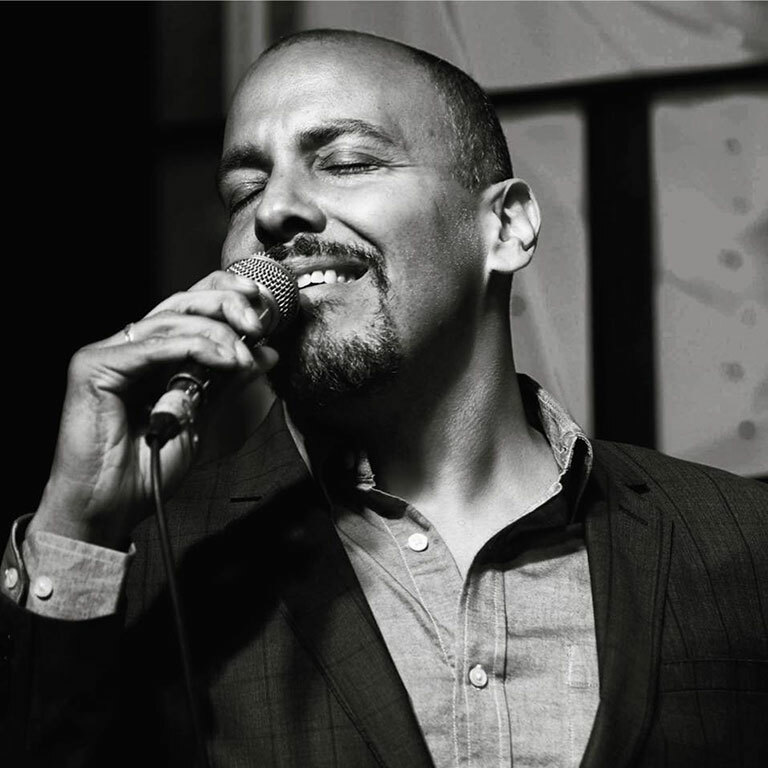 Gavin is happy to have found another home with the Jeans ’n Classics band as a core vocalist and is thrilled to be performing the fantastic music of Michael Jackson, Earth Wind and Fire, Motown, Prince, Stevie Wonder, Rocky Horror and more, with wonderful orchestras across North America. Gavin has earned rave reviews for his most recent studio album, For All We Know, in collaboration with pianist Bill King. Smooth, sultry, and very chill, For All We Know is reminiscent of the style of Tony Bennett and Bill Evans, with a new take on some classic jazz standards by Bennett, Blood Sweat and Tears, and Donny Hathaway among others. Sweet, minimalist, inspiring, soulful and heartfelt, For All We Know is now available on iTunes.